E-News – October – SERCO, Asia Pacific, spend the day in the North! SERCO, Asia Pacific, spend the day in the North! 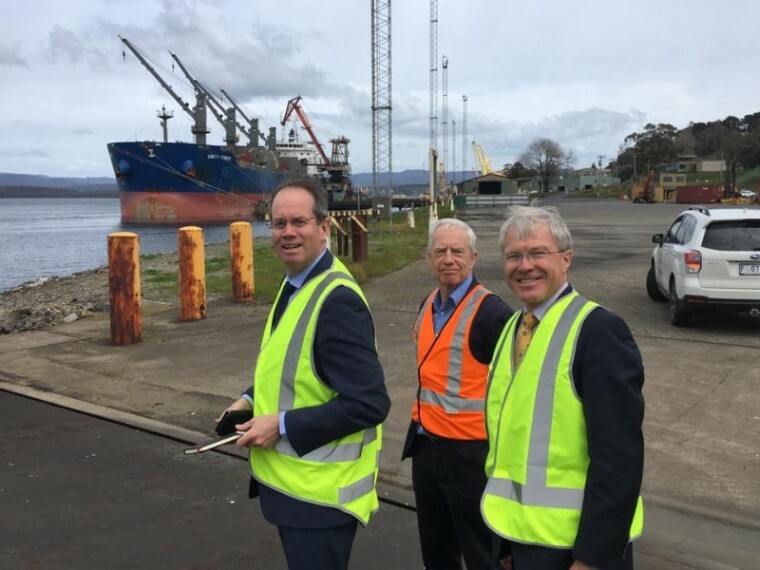 Scott Bradford, Director of Defence Business Development for Serco, John Pitt, NTDC Chair and Steve Gilmore, Tasmania’s Defence Advocate inspect the great facilities at Bell Bay Port. NTDC hosted Defence Prime, SERCO, in a visit to the North and gain a good understanding of the opportunities that could contribute to a maritime service hub at Bell Bay Port. Thanks Mark Cooper and Anthony Donald of Tasports for the site inspection of the excellent facilities and land availability at Bell Bay Port. SERCO appreciated the opportunity to meet capable businesses and our regional leaders ready to support a potential maritime services hub. Serco met with Tasports, George Town Council, Bell Bay Industry Group, City of Launceston, Southern Marine Shiplift, Haywards, Department of State Growth and the Office of Coordinator General. Greg Bott, Deputy Chair of NTDC and ex-banker, is the chair of the Investment Attraction Taskforce established this year as apart of the Regional Economic Development Plan (The Plan) with the objective of linking business expansions and new projects to potential finance options. With the key issues identified and outlined in the NTDC September E-News, clickhere to view, through extensive consultations, the taskforce is actively working to connect and establish networks to address these issues. If you or someone you know are interested in what type of information is required to gain investment support click here. If you or someone you know is interested in having a conversation on how the Taskforce or NTDC can assist, please contact NTDC: Maree Tetlow via:maree@ntdc.org.au or on 0408 825 060. 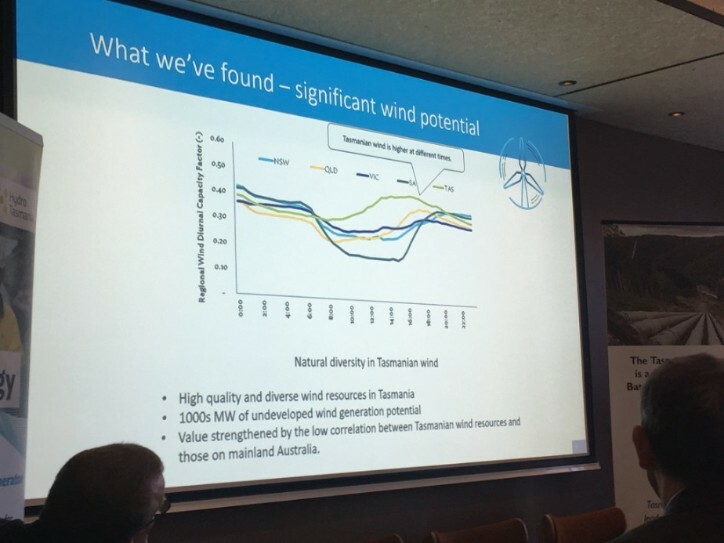 Pictured: Graph showing Tasmania’s (green line) wind potential compared to other Australian states. On Monday 1 October, NTDC staff attended the Renewable Energy Projects Luncheon in Launceston hosted by Hydro Tasmania, TasNetworks, partnering with the Launceston Chamber of Commerce and TCCI, to brief businesses and the community on the future of renewable energy in Tasmania. NTDC is very supportive of the opportunities and the vision set out by Minister for Energy, The Hon Guy Barnett, to fully optimise wind, pumped hydro and developing more transmission and interconnection to the National Energy Market. Understanding that Tasmania is uniquely placed to help lead Australia through its challenging transition towards a cleaner source of energy, with the Battery of the Nation project offering a future that’s clean, reliable and affordable. To find out more click here to visit Hydro Tasmania’s website. 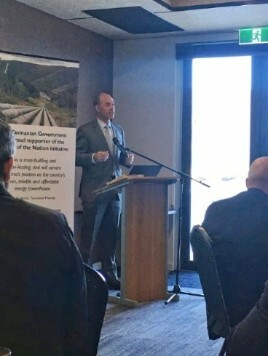 Minister Guy Barnett (pictured below), Andrew Catchpole, Director Strategy and Market Developments, Hydro Tasmania and Lance Balcombe, CEO TasNetworks. The inaugural 2018 Tamar Sustainable Living Expo will provide a “one stop shop” to help northern Tasmanians reduce their household bills and ecological footprints and a platform for community groups to share their activities and develop new projects. 24 October Launch event and Employer Workshops – CoWork – Level 2, 93 York Street Launceston 5.30pm – 8.00pm. Register here. Resources available to support business in employing staff. Each business who registers will receive one on one support in their business to help them employ staff. 7 November Jobseeker Readiness Event – CoWork – Level 2, 93 York Street Launceston. To Prepare for the employment day, a Jobseekers Work Readiness Workshop, open to everyone, has been designed and being held on 7 November by the The Van Diemen Project where potential employees will be shown how to put into practice the best techniques for interviewing successfully. Register here. Rotary invite employers to attend the Employment day on 20 November with any position vacancies to fill, to interview jobseekers. Please register your vacancy/ies by 7 November on the simple system by clicking here. A casual networking session with an interstate guest speaker where like minded food processors have the opportunity to connect and sample their colleagues products. If you are a food processor or know one who you think should attend, email details to admin@ntdc.org.au for further details. Become part of Tasmania’s growing defence manufacturing and supply chain. The free Defence Futures Forum will focus on resources that can help small to medium enterprises (SMEs) who are defence ready or new to defence.